Our storage rates start at $50.00 per Unit per month. You do the math correctly, it’s only a $1.42 per square foot. Why are our prices this unbelievably good? Carmel Movers Storage is proud to bring you The Storage Solution. There is no reason to build rows of storage rooms with individual doors. There is no reason to waste space on hallways and driveways. There is no reason to charge customers for space they do not use. 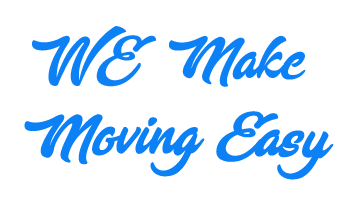 Carmel Movers Storage has Solution for your storage needs. We only charge our customers for the space they actually use. Our customers are charged only for the number of storage units they need. Afraid of commitment? Don’t worry, we’re easy. Not sure if a 10’ x 10’ room will be enough? No Problem, no guessing required. When you move into Carmel Movers Storage, there is no need to commit to a certain size in advance like in Public Storage. 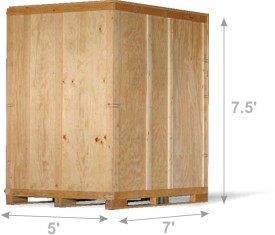 Our crew will fill the first 5’ x 7’ storage unit. Remember, our crew members are professional movers. They know how to be efficient, save you space and keep your furniture protected when loading a storage unit. If it all fits in one, you are done. If you need more space, we will simply open another unit for you. Need help with or extra space for large items? No problem, we have special areas in our warehouses for large items such as pianos, very long sofas, pool tables or big statues or large grandfather clocks. No need to try and cram them in a small room or storage unit. They simply are wrapped, protected and stored in our warehouse. Our professional movers are well versed at moving and protecting your items.